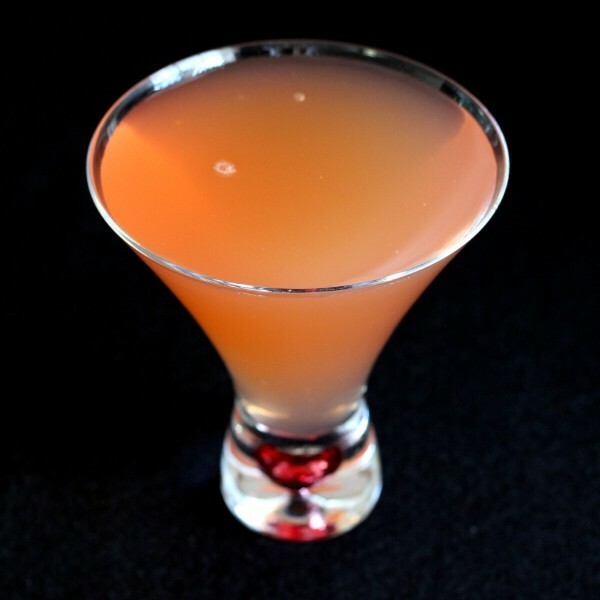 The Peking Cocktail is a rum based drink with a hint of anise flavor. That’s the Pernod, a liqueur flavored with Chinese star anise. 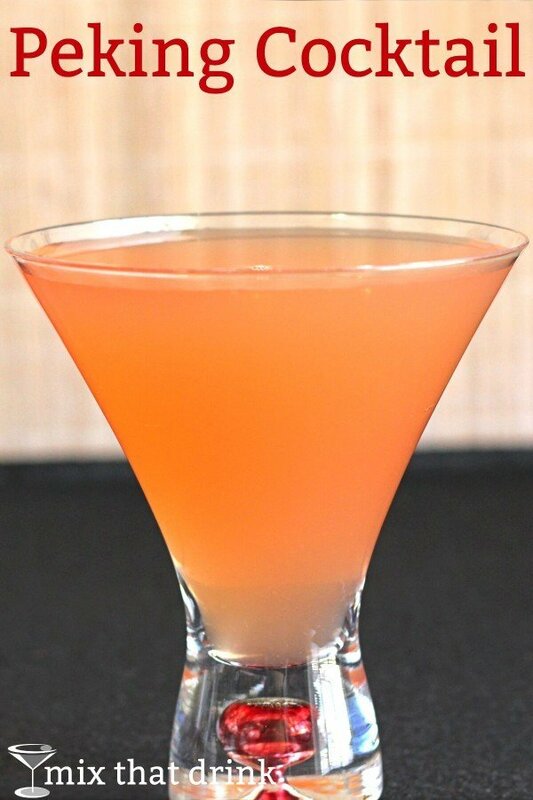 With grenadine and lemon juice, it becomes a very refreshing cocktail. You only use one-fourth of an ounce of the Pernod, so it’s not overpowering. I’m one of those people who find the flavor of anise or black licorice rather, well, horrible. But in this sort of drink, where it actually gets lost and melds with all the other flavors, even I can enjoy it. The drink overall is sweet, tart and herbal. Even if you’re not sure you like it, you can’t stop going back for another taste as you try to sort out the flavors on your tongue. The dominant flavors in this cocktail are lemon and anise. If you’re looking to pair it with a meal, try this Cinnamon Star Anise Citrus with Roasted Brussels Sprouts and Rotisserie Chicken from Kevin Is Cooking. The anise, grapefruit and oranges in this recipe will complement the drink very well. If you’re looking for more of a snack, try this recipe for Lemon Anise Biscotti from Taste of Home. 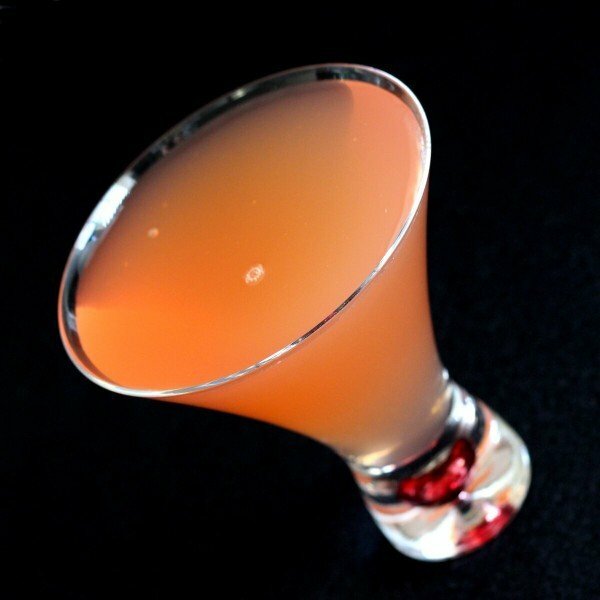 In addition to the lemon and anise, it also has vanilla which makes a wonderful contrast with the grenadine in the drink. Note that some versions this recipe call for white rum rather than dark. Just pick a rum you know you’ll enjoy. If you enjoy this cocktail, check out the Twenty Thousand Leagues, the Foggy Day and the Sazerac. Shake everything together with ice and strain into a martini glass. No garnish – nothing should provide a hint of what’s to come before you taste this one.